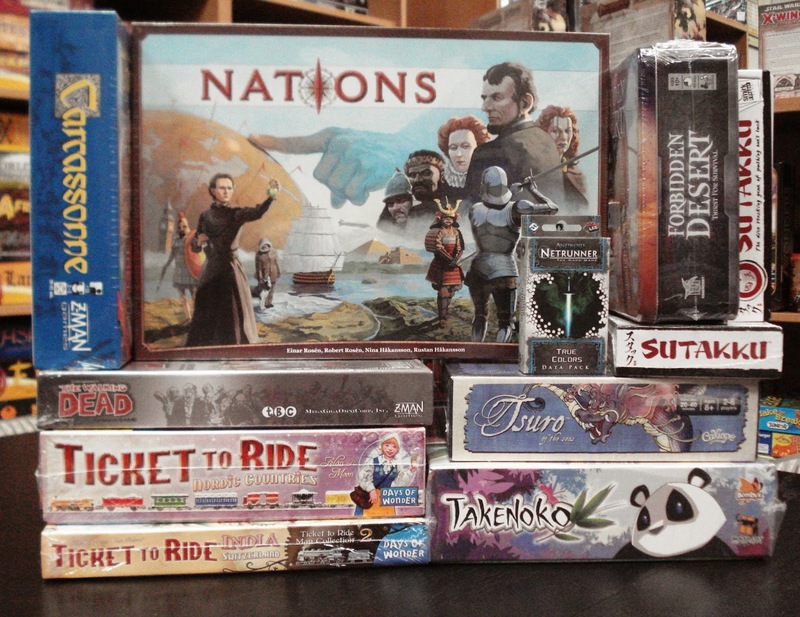 We brought in another newly released board game in this week's arrivals. 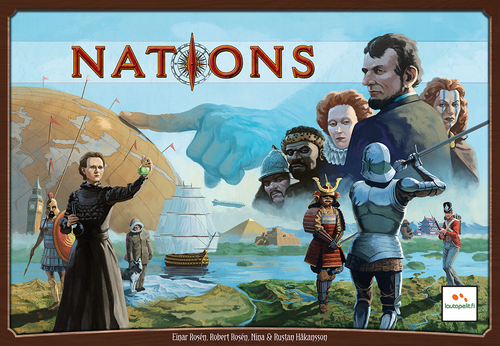 Nations, a civilization building game for 1 to 5 players. Players control the fate of nations from ancient times until the brink of World War I. The nations constantly compete against each other and must balance immediate needs, long-term growth, threats and opportunities. The game covers 4 historical ages of human history; Antiquity, Medieval, Renaissance and Industrial. Each age spans 2 game rounds of development, competition and production. Every round brings historical risks and opportunities that players need to compete to avoid or gain. Military Strength is costly, but can help you avoid devastating Wars, conquer rich Colonies and gain tactical influence to act before the other nations in coming rounds.